Photo slideshow software enables you to showcase and share your photos in slideshow video with music and transitions. Comparing to still photos, a photo slideshow with music is more attractive. In this article, I will recommend some free slideshow software. First, I want to recommend a paid slideshow software to you. Photo Slideshow Director HD is an iPad slideshow app which enables you to import photos from iPad photo library, Facebook, Flickr, Picasa, Dropbox, SkyDrive and Intagram to create an amazing slideshow. Then you can add kinds of slideshow effects, such as transitions, pan&zoom effects, subtitles, text, and etc. Also it provides many ways to share a slideshow: 1. Watch a slideshow on HDTV 2. Upload to Facebook, YouTube,Dropbox and SkyDrive 3. Wireless transfer to PC 4. Save on iPad. Windows Movie Maker is a freeware video making and editing software provided by Microsoft for Windows 7/8. It enables you to create a slideshow with photos and videos. You can also edit the sound track and add a theme. After finishing a slideshow, you can publish it to Facebook, YouTube or other social networking and video sharing sites. 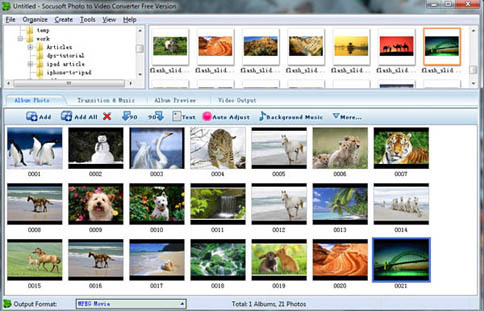 Photo to Video Converter Free version is a freeware slideshow video maker. It is an easy software to create mpg videos with your photos and videos. It provides kinds of transitions and pan&zoom effects. 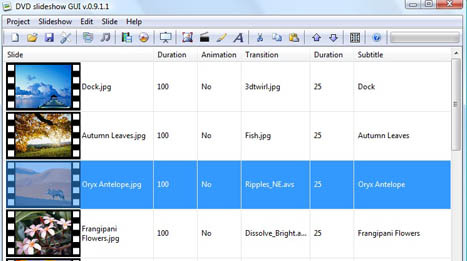 DVD Slideshow GUI offers a simple way to create kinds of slideshows ex. YouTube, DVD or Blu-Ray out of ex. photos, videos or PowerPoint presentations. It provides transitions, music, subtitles, animation and included video for making a slideshow. 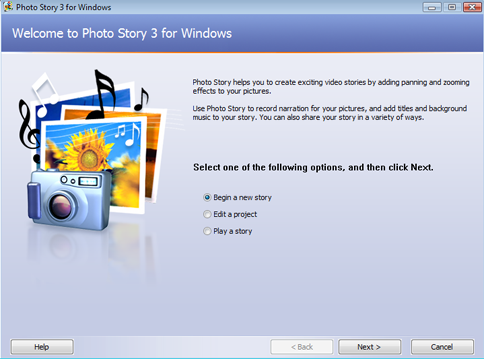 Photo Story is a free photo presentation for Windows XP which enables users to create a slideshow to tell their stories from digital photos. With the app, you can make a slideshow with Ken Burns Effects, narration, effects, transitions ,background music and pan&zoom effects. However it only exports .wmv videos(Windows Media Video) . 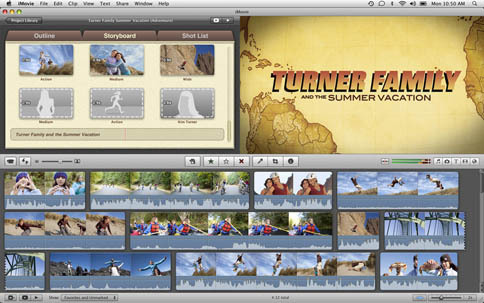 iMovie is a preinstall software on new Macs. Also you can download it online. 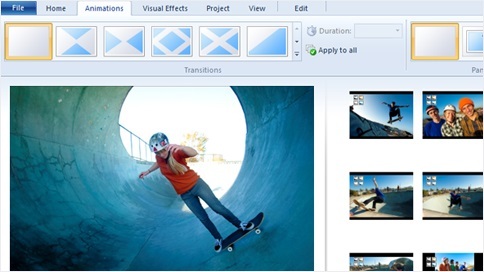 You can create slideshows and edit videos with it. 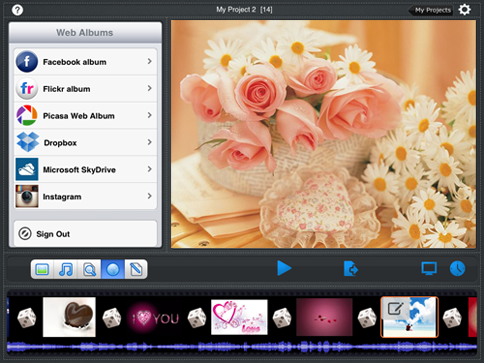 It features several themes, new titles, video stabilization to help you create a slideshow. Also it provides multiple ways to share a finished slideshow, such as exporting to iTunes, uploading to YouTube and Vimeo, share on Facebook. This entry was posted in Tips and tagged best free slideshow software, free program to make slideshow, free slideshow maker, make slideshow free on January 30, 2013 by Sarah Jablich.